This component of OnSite-PT is dedicated to helping athletes and people recovering from injuries/surgeries recover more quickly from workouts and rehabilitation sessions. By placing an emphasis on active recovery athletes can get the absolute most out of each training session, limit muscle soreness, decrease the risk of overuse injury, and keep their body ready to perform at the highest level on a daily basis. Our team of doctoral level educated athletic performance specialists will use a combination of cutting edge technology and professional level training programs to maximize your athletic potential and help you meet your goals in the quickest, safest, and most effective manner possible. WHY DO PROFESSIONAL ATHLETES RECOVER FROM INJURIES SO MUCH FASTER THAN THE REST OF US? Multidisciplinary Treatment Approach They have a medical doctor, physical therapist, athletic trainer, and strength coach/personal trainer often corroborating on their plan of care. Specifically, the combination of knowledge a physical therapist and strength coach provide is of tremendous value to patients/clients/athletes. Focusing on “Quality of Movement” Never Stops Actively prevent progression of movement dysfunction by getting regular movement screens, dry needling, and instrument assisted soft tissue massage to “problem areas” or regions that have caused you pain/injury in the past. We use contemporary hands on treatments and the newest and most revolutionary technology to enhance an athletes’ ability to recover quickly from injury or intense training. Research shows that it takes about 48 hours for your body to fully recover after intense training: playing 30 minutes in a basketball game, going through an intense CrossFit workout, or running 10 miles in preparation for a big race. Our innovative program allows athletes to fully recover in 6-12 hours, resulting in less muscle soreness and allowing them to return to their peak level of performance more quickly. These same concepts can be used very affectively with athletes rehabilitating injuries or recovering from surgeries; allowing them to return to sport or exercise significantly faster. The program begins with an extensive assessment of how your body moves, so we can discover joints or areas of the body that are not working or moving at optimal level. Typically, you would have to schedule an appointment with a Doctor of Physical Therapy to find out this information, but our specialists are all Doctors of Physical Therapy so it’s built into the program. By correcting these limitations from the start, we develop a solid foundation to build strength from. For example, if you have a stiff ankle because of a history of chronic ankle sprains, you are losing valuable ROM that will limit your speed, vertical jump, power, and explosiveness. It’s CRUCIAL that these specific movement limitations are corrected to optimize athletic potential. Improving these joint restrictions or movement limitations may require hands on treatments or techniques—which is all part of the program that we provide. By performing an in depth movement assessment we now know what areas the athlete has limitations in, and where they have the biggest areas of weakness. We take this information and apply it to movements crucial to their sport. For example, a basketball player probably doesn’t need to spend as much time bench pressing as a football player—hopefully they aren’t performing pushing movements very often! By examining the areas in which the athlete has deficits, and targeting key movements they need to be exceptional at in their sport, we can develop a program that makes them the best athlete possible in terms of what their sport demands. Because being a great athlete on the basketball court, might be different than being considered athletic in the CrossFit gym. If you were to take a biopsy of the physiological state of your muscles after an intense workout/after a game, it would take approximately 48 hours of rest and recovery using older/traditional techniques for that muscle to return to its normal baseline state. Our program combining cutting edge technology and hands on innovative treatments allows those muscle to reach baseline in 6-12 hours. These recovery technologies are usually only available to professional athletes or big time college athletes. However, we have developed a very affordable program that allows athletes of various skill levels to recover like the PROS! In the neuroanatomy field of study, the concepts of neuroplasticity and motor learning are often used to describe how we quickly facilitate the ability to re-learn skills with patients who have suffered brain injuries or strokes. Basically, how can we optimize your brain and body’s ability to master a new skill set as fast as possible. Using these methods will allow a point guard to enhance his ball-handling skills much quicker, or train a CrossFit athlete to learn a new lift in fewer sessions. We use a concept called Contrast Training to overload input to your brain, so that when you are in the game or field, the tasks your body has to perform are much easier than the way you have been training them. This allows athletes to improve their skills at a rapid pace. CrossFit athletes have responded tremendously to our approach, allowing them to optimize their training throughout the week and recover quickly from one day to the next. CrossFit gyms affiliated with OnSite-PT can outsource our recovery equipment at any time. This involves a quick training session with the CrossFit Instructors at the facility, and then full access to the equipment for as long as needed. Often times Gyms will outsource our equipment around the CrossFit Open or during regional competitions to ensure their athletes’ bodies are fully recovered and primed to be at peak performance. Check out our Strategic Partnerships tab for more information! There is no way around it, runners put more load through their muscles and joints than nearly any other athlete. The concepts in our program and intermittent use of the recovery equipment will allow quicker progress with training, and greatly decrease your risk of getting injured. Studies shows that nearly 90% of competitive runners have at least one mild injury per year resulting in missed time training. We will clean up any movement dysfunctions or limitations in joint mobility/stability, and then ensure optimal technique to greatly decrease injury risk. Often times running groups that we work with will outsource our recovery equipment in the weeks or days leading up to a big race or marathon. We provide individual, customized training one on one with athletes. You will get the EXACT SAME in depth movement assessment and training program that we have used with professional and Olympic athletes. Often times athletes are being trained by ex-players or strength & conditioning coaches with limited education. Our program is revolutionary because it combines a doctoral level of education in movement science with extensive experience in sports specific training. We start by performing an exhaustive assessment of how you move combining Video Analysis and a myriad of testing, ensuring optimal joint mobility and ROM throughout the body. Next, we look at functional strength with movements that are critical to your sport, comparing them to normal levels with other athletes we have trained. Finally, we develop a customized program for you based on your specific strengths and weaknesses, prioritizing what is important rather than arbitrarily selecting the same drills or lifts for every athlete. This comprehensive approach will elevate your ceiling of athletic potential, and help you get there as quickly as possible. So, if you are doing random arbitrary weight lifting exercises, training with someone that got a certification to train athletes by taking an online test, or are having difficulty improving your PR’s and meeting your athletic goals DON’T WAIT. You only get one chance to achieve your dreams as an athlete. We work with Coaches of all levels in a variety of ways to help optimize their team’s potential. We contract with teams to help implement training and recovery programs to meet their specific needs. The all-inclusive training concepts and recovery technology that we provide is the same that professional sports teams are using all over the country. We have developed a way to bring this same approach and give your athletes the attention they need at an incredibly affordable price. We have a passion for helping athletes succeed, and playing a role in teams winning championships. Our recovery tools and programming will allow for quick recovery to optimize performance during two-a-days, or allow an AAU basketball team to play 5-6 games in a weekend without “losing their legs” by the end of the tournament. Give your team and your athletes the best possible chance to be successful. Call for a free consultation and Training Implementation Plan today! When you train and overload your muscles, a lot of metabolic waste builds up and lingers in the muscle until your lymphatic system can clear the metabolic waste by-products out of the system. The Recovery Pump compression boots use a sequencing of compression from the foot up the leg to allow your body to do its job much quicker. The sequential compression improves blood circulation and increases the transfer of oxygen and vital nutrients back to the muscle that it needs to recover. The treatment is very comfortable and athletes will immediately feel less soreness and stiffness within their muscles. The next day athletes will wake up with fully recovered muscles primed to be worked to their full potential once again. The boots are mobile and simply require being charged so they can conveniently be stored or taken on road trips. The marc pro unit is a revolutionary design that involves placing pads on musculature in sore or over-worked muscle tissues, while the unit delivers an electrical input to the tissues eliciting a repetitive, non-fatiguing, low-level muscle contraction. This allows for the removal of metabolic waste products that build up during intense training such as lactic acid and other pre-inflammatory cells. The repetitive low level muscle stimulation allows for continuous perfusion of fresh blood to the area, providing your muscles with the oxygen and nutrients it needs to recover more quickly. Again the treatment is very comfortable and athletes will notice immediate relief of symptoms. Check out the links below to read more about the research behind the device on the Marc Pro website. I’ve also added a video from Kelly Starrett, a world renowned strength and conditioning expert and doctor of physical therapy on why he uses the Marc Pro with his athletes. Soft tissue mobilization with our Edge Mobility Tool is another way to expedite the recovery process by clearing muscles and fascia of metabolic waste build up from training. This hands on technique allows us to specifically target problematic muscles and fascial tightness immediately after athletic competition to facilitate clearance of lactic acid and other inflammatory cells. With our high level education in anatomy and physiology we can work directly along the exact location of the muscle fibers that are symptomatic, rather than foam rolling a general area arbitrarily pushing on what you think might be the correct muscle. The unique design of the tool creates a shearing force over the athlete’s soft tissues which elicits a much more significant tissue response than using hands alone or a generalized mobilization tool. This treatment is growing like wild fire throughout the world because of its ability to treat specific muscles that are impossible to reach with hands on treatments. An acupuncture needle is inserted into a specific muscle based on a thorough examination by a doctor of physical therapy. Electric stimulation is then applied to the needle to allow maximal activation of the muscle, much more significant than any other type of muscle stimulation device can provide. The needles are also able to treat “trigger points” or knots in the muscle that have developed due to over training or injury to the soft tissues. Trigger points are basically localized muscle fibers that have banded together due to lack of oxygen and blood flow during a localized injury, that do not function like normal muscle tissue. Trigger points cause pain referral, are a major contributing factor to tendinitis and muscle strains, and muscles with trigger points will have decreased force production capabilities i.e. less strength. By inserting a needle into the trigger point we are able to elicit a “muscle twitch response,” which decreases muscle tone immediately and allows for the normalization of muscle fibers. These are two relatively new taping techniques that are extremely versatile and can provide tremendous value during competition or while recovering from an injury. The difference comes from the flexibility of the tape, allowing us to provide increased input to your sensory nervous system and muscles. 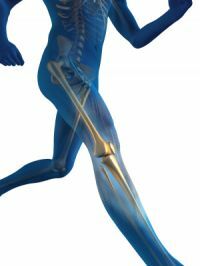 There are many very effective techniques off-loading a muscle, stabilization a joint, or facilitating improved muscle activation. If directions are followed by the athlete the tape will stay on the skin, even while showering, for 3-5 days. The following injuries particularly respond exceptionally well to these taping techniques: muscle strains, ankle sprains, tendinitis, plantar fasciitis, muscle spasms, or shoulder instability related issues. Blood Flow Restriction or BFR Training is a very new “game changing” training tool that is becoming increasingly popular with professional athletes as research continues to grow to support its effectiveness. A specially designed tourniquet is placed around the upper leg or arm depending on the limb being training. This significantly decreases blood flow to the muscles in the limb creating a “hypoxic” low oxygen state within the muscle. As a result, your body selectively recruits fast twitch, anaerobic muscle fibers that do not require oxygen. By decreasing blood flow with the tourniquet cuff in a specialized way we are able to safely manipulate the physiology within the muscle to improve strength gains in a shirt 10-15-minute workout that it may take 45 minutes to achieve under normal conditions. The specialized tourniquet system has a sensor that reads the percentage of blood flow that is being restricted, to optimize the positive effects training has on the muscles, while keeping a safe physiological environment. The tension in the tourniquet cuff adapts as you contract or move muscles to maintain the appropriate amount of tension to restrict the exact amount of blood flow required for training optimization. You will get that same intense “workout burn” feeling when the cuff is applied doing very light weight or body weight activities, as you do when you are typically training under heavier loads. After the workout, your limb and all the muscles are “re-perfused” with new fresh blood once the tourniquet is removed, allowing for quick recovery from the exercise and less post-treatment soreness. When applied correctly by a doctoral level trained professional, the treatment is completely safe. Our specialists are trained and certified by the leading Blood Flow Restriction Training group in the country, at Owens Recovery Science. For more information on this treatment and the research behind its effectiveness check out the link below. The video added gives an idea of professional athletes are using this training tool to maintain strength during a long arduous season, build strength without overloading joints while recovering from injury, or accelerate their training by performing multiple workouts per day safely with this technology. When provided in the appropriate context, joint manipulations or “adjustments” such as the ones you may relate with chiropractors, can be very beneficial in relieving pain and decreasing muscle spasm/tightness. Our program incorporates some of these safe joint manipulation/mobilization techniques to improve movement and optimize function of muscles. For example, we use these techniques when athletes have a tight joint, muscle spasms in their back, or perhaps are having trouble maintaining good posture with a specific lifting technique due to joint mobility limitations in the upper back/neck. There are many great chiropractors practicing that do a tremendous job using these techniques to improve joint mobility and decrease acute pain. However, often times chiropractors do not follow through with correcting your movement dysfunctions or abnormalities, which requires a program of corrective exercises to build strength or flexibility in areas that are lacking. We often use these techniques before training or competition to get the athlete moving optimally with a few manipulations that take less than a minute to perform. A huge short coming we see very often with athletes’ recovery programs is they commonly don’t gain full functional joint mobility/ROM after a surgery or injury. Say an athlete has a bad ankle sprain and misses 4 weeks of competition. Hands on joint mobilization techniques to improve how the joint is rolling and gliding MUST be performed during the rehabilitation process to ensure recovery of normal joint mechanics. If this does not occur, the athlete will be at a much higher risk for injury and pain down the road. We use various applications for video analysis so that we can meticulously study and break down how the athlete is moving, measuring joint angles and ROM deficits, so we know exactly why they are having pain or losing valuable force producing capabilities. Our time with you doesn’t end when the training session is complete, we then take the videos of key movements practiced during the workout, and use our software to further break down the movements and highlight problems so we can come to a WITHOUT A DOUBT conclusion on what the athlete needs much quicker. We can send the athlete corrections we have made or notes with the videos of them moving, using them as education pieces to help the athlete hone in on what exactly they need to correct. This system has shown remarkable results with CrossFit athletes, runners, golfers, basketball players, and general active individuals being treated for painful/poor movement patterns. Technology has grown so much over the past few years, and there are BETTER ways of training, to get faster results, in a much safer way. Until now it has been very difficult for anyone other than professional or big time college athletes to have access to these technologies and training concepts. The applications of the interventions in this program are endless. We will devise a plan for you, your team, or your gym that fits exactly what you want. STOP WAITING. Start making every workout, every training session, and every repetition count!